Men are fighting over Simone Biles, as they should be. After the Olympic champion finally met her dream man, Zac Efron, the man she referred to as her "Brazilian boyfriend" two weeks ago is ready for a fight. Brazilian gymnast Arthur Nory isn't backing down just because some High School Musical bro is swooping in. Well first off, Mr. Nory, Simone Biles belongs to no man, or country, even. She may honor America by wearing the Team USA uniform, but as a nation, we bend at her will — not the other way around. That being said, your devotion is properly placed. You seem like a nice, flexible boy and your bronze Olympic medal, though certainly not gold, is quite impressive. 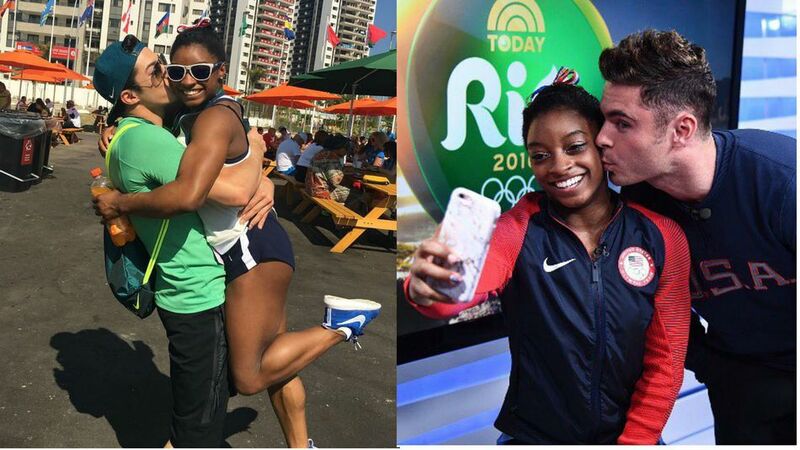 Three days ago, the posed for a cute kissing selfie — smooching their medals, not each other, but whatever. So, Nory, forget the Olympics — this is the fight of your life.